Camping is an integral part of traveling through wild places. 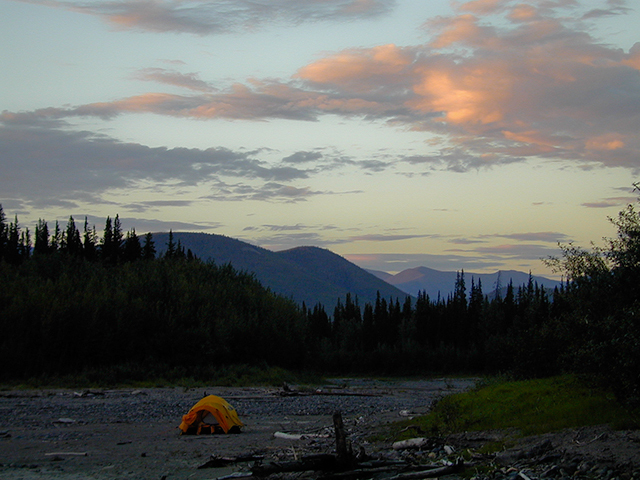 Our remote routes in Alaska and the Yukon lack accommodations and services. They more than make up for it with stunning scenery, wildlife and solitude. Our Inside Passage, and Bike Nome trips do not include any camping. 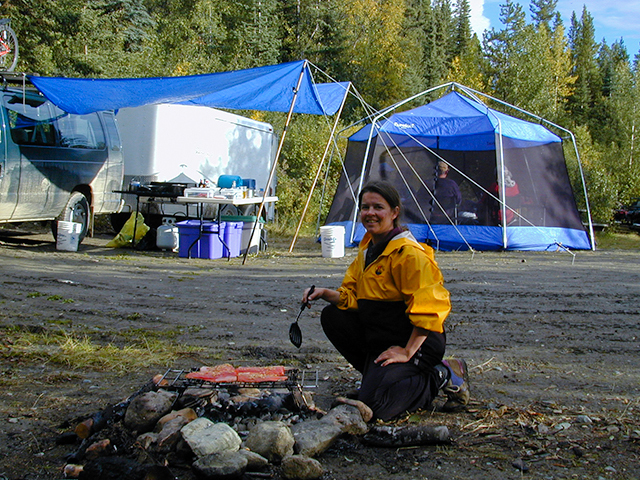 Our Golden Circle and Klondike Canoe and Bike Trips include some camping nights and some nights indoors. 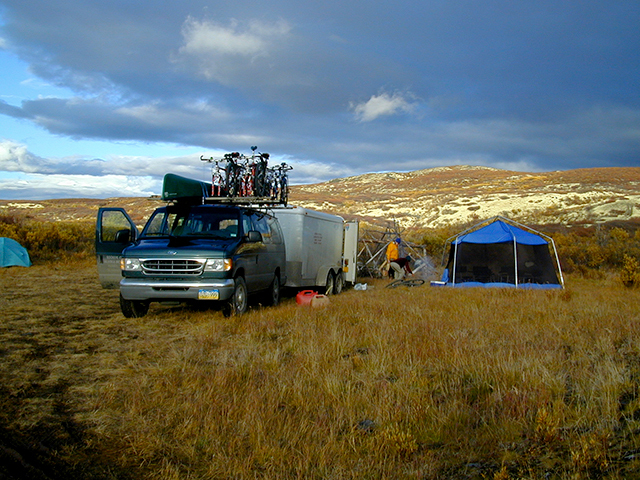 Our Canol Road Trip is our most remote and consists mostly of camping. With over 20 years of experience exploring and camping in our region, we have identified the best sites and know what gear is necessary for your comfort. Camping certainly doesn't mean a lack of amenities. We bring along all the necessities, along with some luxuries to make your camping experience memorable. We believe that spending nights under the stars is the perfect way to fully experience the unique landscapes that you travel through. We provide the gear and experience that makes camping relaxing and fun! Our sag wagon and trailer carries all the camping amenities you need. These include waterproof tents, warm sleeping bags, thick sleeping pads, pillows, bug tents, and comfortable camp chairs. When your day in the saddle is done, you dine in a screened tent and enjoy delicious meals such as local salmon prepared by your trip leader. Wake up in the morning to the smell of freshly brewed coffee and enjoy a hearty breakfast before hitting the road. We cater to any of your specific dietary needs. Camping does not mean a lack of hygiene either. We even carry with us a portable toilet and shower!